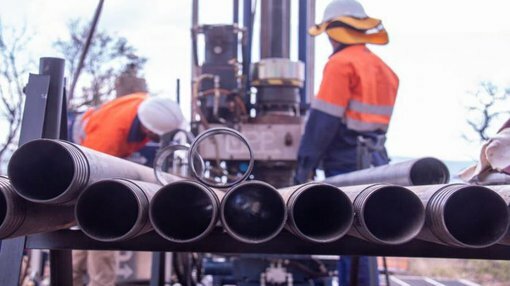 Tando Resources (ASX: TNO, Tando or the Company) has reported further outstanding high grade drilling results from its SPD Vanadium Project in South Africa. The SPD Project is one of the highest grade Mineral Resources reported across the globe (using whole-rock or unprocessed grades) and positions Tando with a unique opportunity to initiate a low-cost, early cash flow operation. 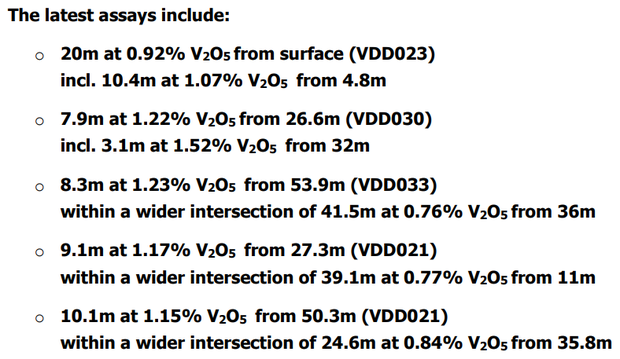 The intersections reported are from drilling completed to infill and extend the high grade zone of 87Mt at 1.07% vanadium oxide (V2O5) which lies within the global Mineral Resource at SPD of 588 million tonnes at a whole rock grade of 0.78% V2O5. This high-grade zone is the focus of the current Scoping Study with a view to selectively mining it and producing a concentrate for sale. The receipt of these assays will enable the new Mineral Resource for the SPD Vanadium Project to be completed and published. This will then be fed into the Scoping Study which is due to be finalised in coming weeks. Given the consistency of high grade results along with the excellent continuity of mineralisation it’s anticipated that the updated Mineral Resource should contain a high proportion of material in the Indicated category. 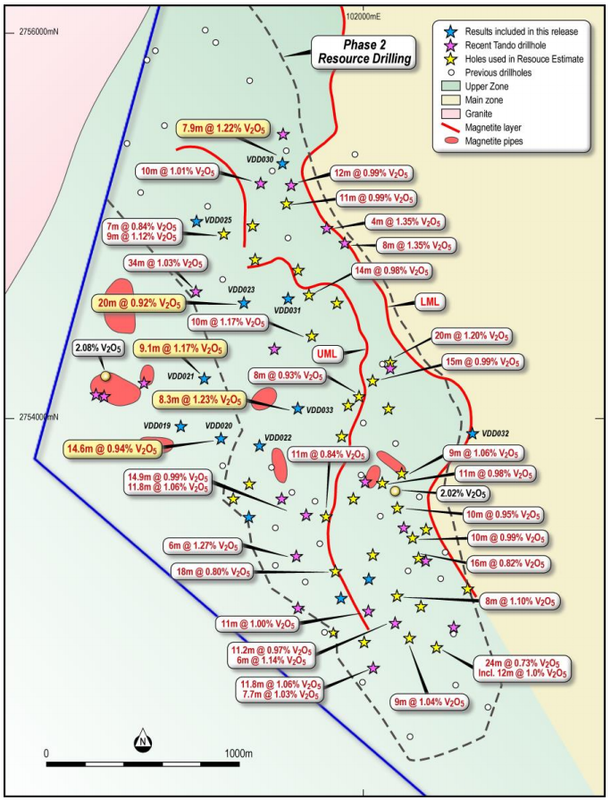 Add to that the increased detail from the infill drilling that will enable the higher-grade massive magnetite layers to be better delineated, increasing the potential for selective mining to meet offtake specifications. Vanadium is largely used in strengthening steel via various alloys. Consumption is currently increasing with the recent implementation of stricter standards on the strength of steel to be used in construction (specifically rebar). Vanadium use in steel making accounts for over 90% of current vanadium demand. Additionally, the global move towards renewable energy solutions will require a vast increase in energy storage installations. This is forecast to include an additional increase in the usage of vanadium redox flow batteries (VRFB) for large scale energy storage which provides additional longer term demand for vanadium.